Versatility and functionality combined in the Trigg wall storage units: plants and small objects find their right place thanks to them. What is a great designer able to do? S/he would be able to realise furnishings that lend themselves to a variety of purposes without ever seeming out of place. 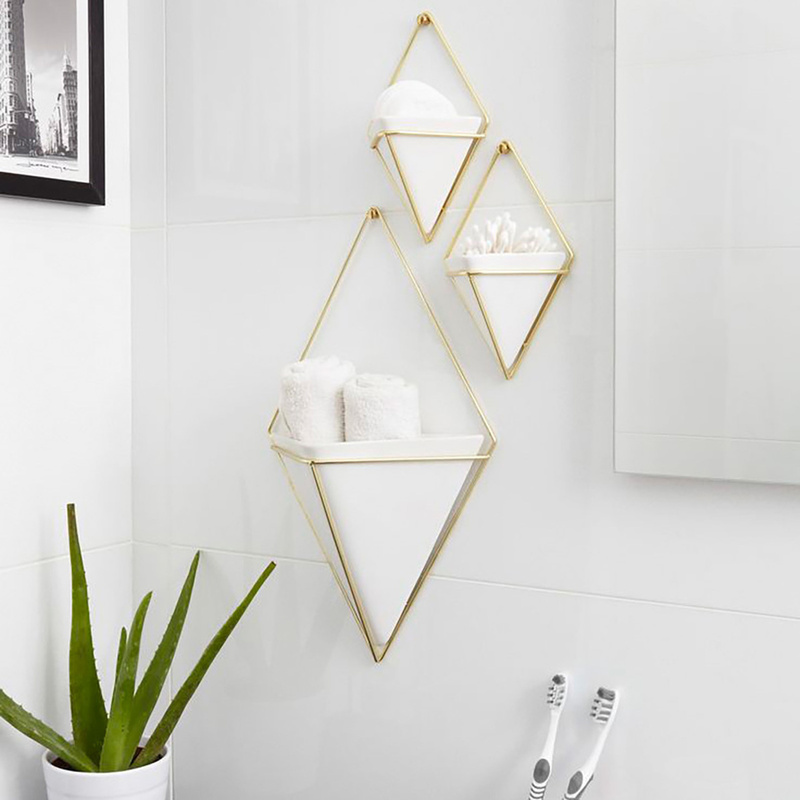 The Trigg wall storage units embody the immense usefulness of an object that is needed in every room of the house to store small items and to take care of plants and herbs. 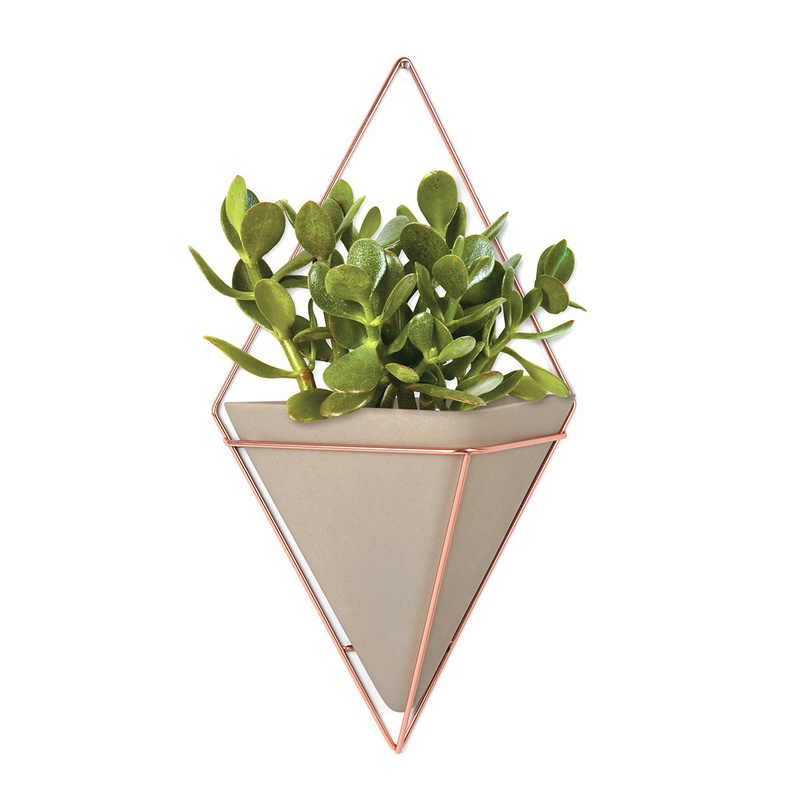 Overall their shape resembles that of a diamond cut in halves: their frame is made of copper or brass, creating a geometric shape that allows it to be hung on the wall. Their design has been studied so as to allow users to organize it according to personal needs and taste, customizing the walls. The opaque white of the resin and the bright colour of the frame, along with the small but functional size of the containers, help them to increase their versatility. If placed in the kitchen, you can store in it assorted ladles or plants of basil and other useful aromatic herbs. At the entrance of the house, they can contain keys and small items usually needed near the door. 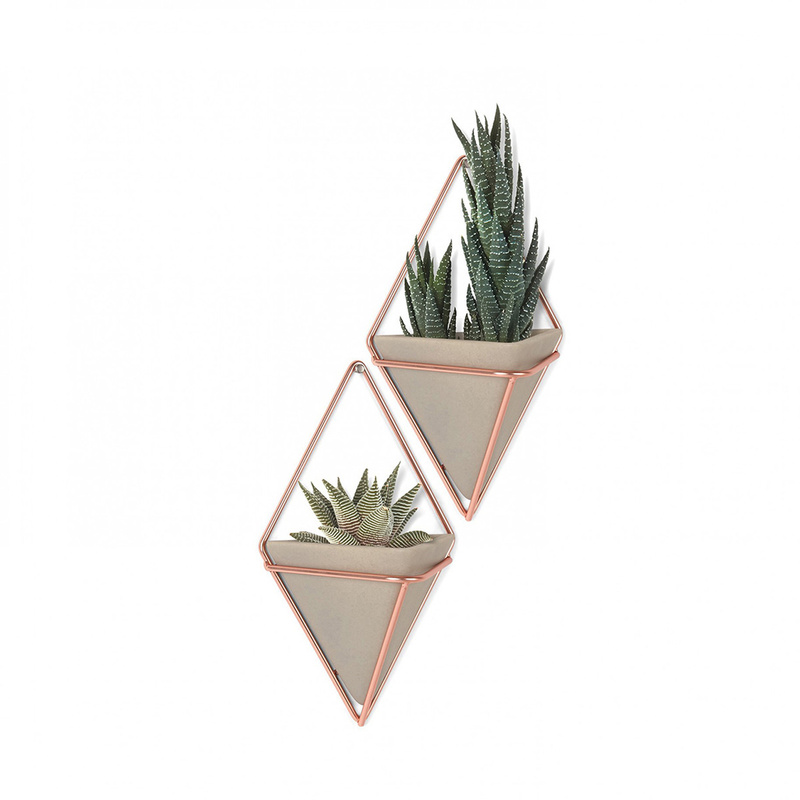 In the living room or on a terrace they can accommodate small ornamental plants whose purpose is to beautify the home environment, such as cacti and geraniums. The potential use of the Trigg wall storage units extend as much as the needs and imagination of those who use them. 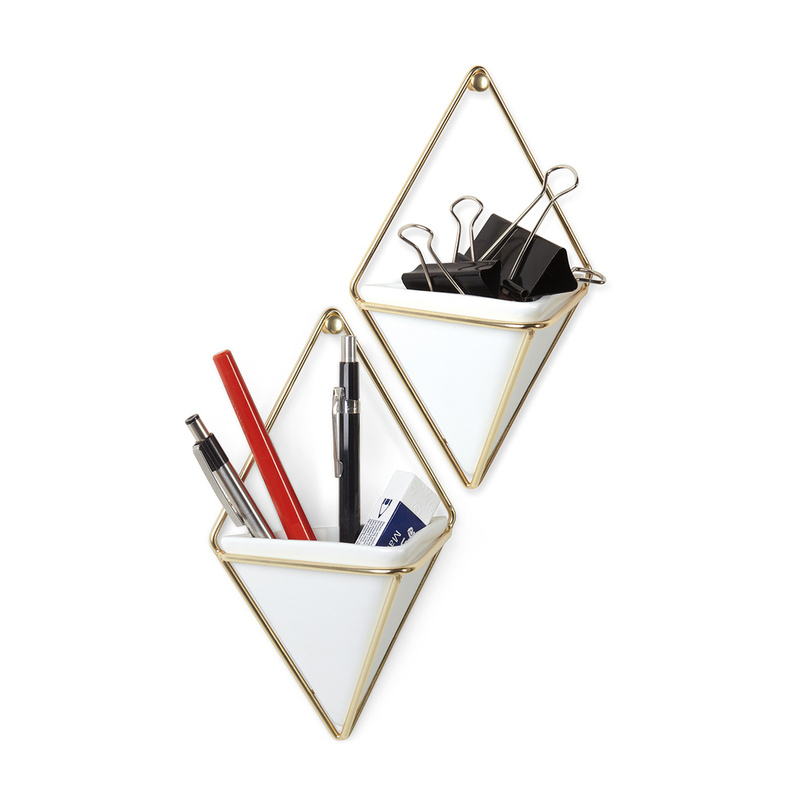 You could use them as jewelry holder in the bedroom or to store pens and accessories for school and office. 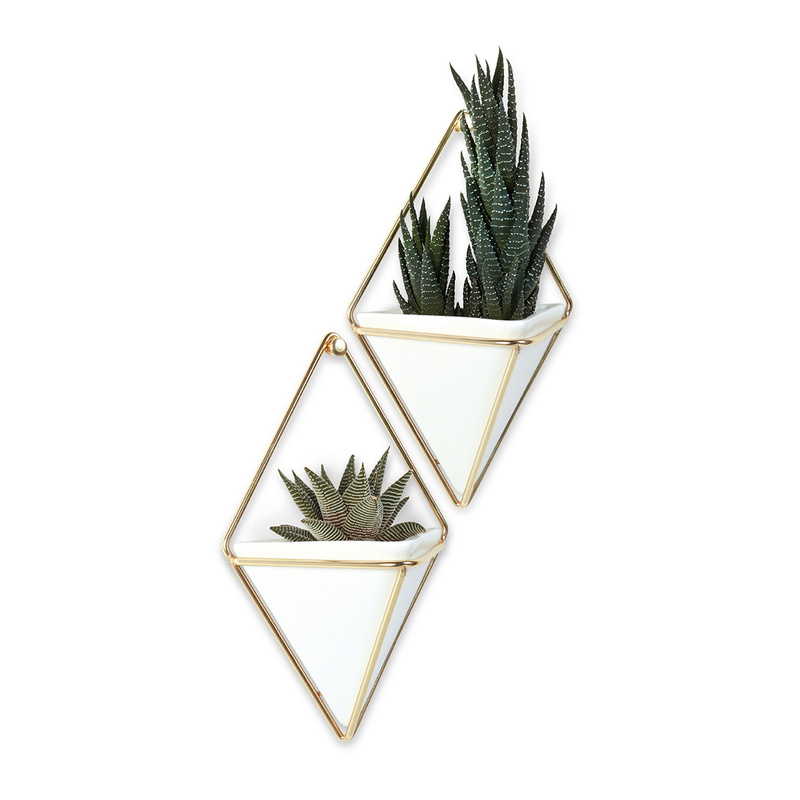 The incredible versatility of these storage units, guaranteed by the durable materials they are made of and by the geometric shape that adapts to any room, also makes them perfect as a gift idea.